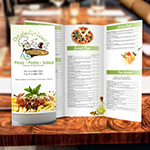 Coming up with a great and affordable way to do so might incline you towards our full color tear off cards printing. At Printing Xpert, we provide our clients with high quality print services that work as effective marketing tools for your business growth. 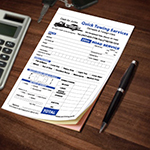 Our NCR business forms printing are ideal for invoices, statements, contracts, applications,etc. 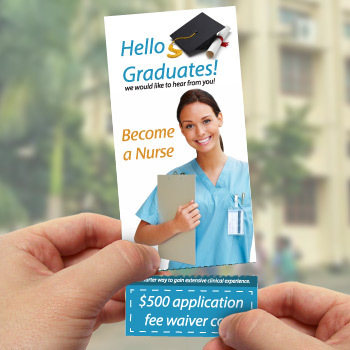 Tear off cards serve as a cost efficient tool for your company, as they give you advertising space to add features other than your contact information. You can use the space to provide discounts on your customer's future purchases to keep them coming in. 12 pt. is one of the most popular cover stocks used in commercial printing for Full Color and Spot Color projects that require holding up against the rigors of lots of handling and heavy use while keeping its original printed beauty for a long time. Perforations are small holes in the tear off cards. Perforations are usually used to allow easy separation of more than 2 sections of the material, such as allowing paper to be torn easily along the perforation line. 4 digit numbering on the right side of the tear off card is the best way to keep records. 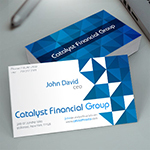 Tear-Off cards can actually serve as perforated business cards, with which your customer can easily identify you. Perforated cards have 2 portions , one for the customer and one for the business owner. It can work as a membership card, coupons, tickets etc. Use Tear Off Cards to save the customer's information on the tear-off section to pass along, and the other section can be kept with you as a reminder for an appointment, or for a lucky draw or raffle tickets. The files you choose for printing should be a minimum 300 dpi resolution and 100% final print size for optimum print quality. When a file of images designed for printing it looks on web good becuse of 72-92 dpi. But in the other hand the printing file should be 300(dot per inch). I printed tear off business cards with perforations for my coffee shop and the tear off part contains a coupon for a free small coffee. It's a great way to show appreciation for your customers and keep them coming back. Job well done. Print quality is awesome and its easy to tear the cards at the line. Thanks Printing Xpert! This is the number of colors that will be printed on each sides of the paper, designated by Front Colors/Back Colors, as an example:- Color options: 4/0 = Full color on front side, nothing on the back 4/4 = Full color on both sides. 12 Pt. 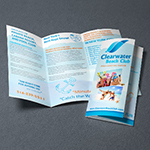 Cover Stock is one of the most popular cover stocks used in commercial printing for Full Color and Spot Color projects that are required to hold up against the rigors of lots of handling and heavy use and keep its original printed beauty for a long time. Perforation Means more than on hole or a row of holes punched in a sheet of paper. A perforation line to your event ticket, allowing those receiving your event ticket to easily tear off a coupon, gift certificate, or save-the-date reminder. - Upload File Now or Later After the cart and shipping page you can uplaod file on my account. - Need Custom Design If you require a creative designs service that reveals your company message efficiently while choosing the accurate colors, readable content/text and images in your artwork. Our Custom Design Service will provide you an inspiring designs by our professionals. Product: Event Ticket, 5" X 2", 1.75 X 5.5" Front Full Color Back Blank 4/0 , Both Sides Full Color 4/4 Consultation Time Included: 15-min Free Design Includes: 3 Revisions Images Included: 1 Images Additional Images: $10 per image Additional Design Time: $39 per hour Base Package Price: $75.00 Prices may vary depending on design complexity or additional requests We also offer LOGO design service starting $75 and up. We offer 2 ways to proof your job before it goes to printing process:- Online Free PDF Proof You can view an online FREE PDF proof that will allow you to double-check the Artwork, Text, Image Resolution, Color, Spellings and Fonts. *Only first proof is free. After that it is $5 for each online proof Print As It The files you uploaded will be printed as the same way they are without any changes.